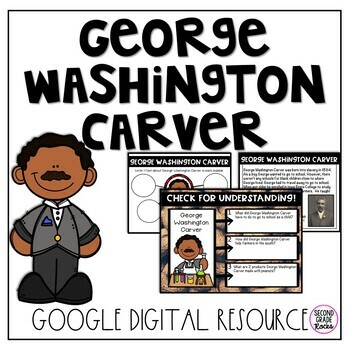 This product is a digital download using Google Slides to study George Washington Carver. This is a great resource to use during Black History Month too. This product is designed to utilize Google in the primary classroom. In this download you will get a link to download this activity onto your Google Drive. 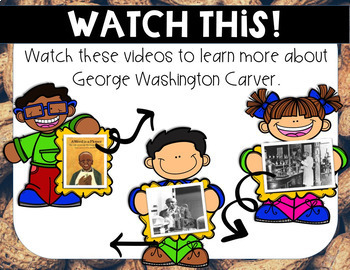 ✓ 3 safe share links to you tube videos on George Washington Carver. 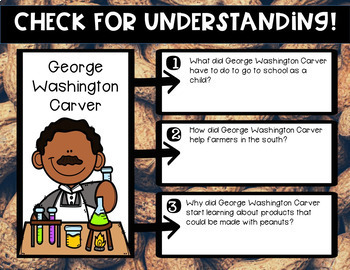 1 link is for a reading of the story, "A Weed is a Flower" about George Washington Carver. 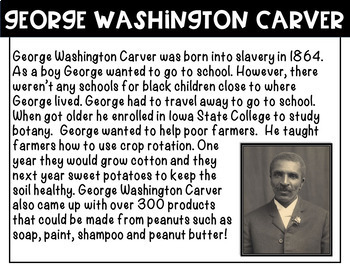 ✓ Bubble Map to type facts about George Washington Carver. Let's connect: Facebook, Pinterest, Instagram and Twitter. Please let me know how this product worked for you. Thank you so much for stopping by my store!